Currently on show and attracting lots of visitors to Greyfriars Municipal Gallery, Waterford is “30 Years / Artists / Places”, a touring exhibition marking 30 years of Local Authorities supporting visual arts in Ireland. The exhibition features work by 30 artists including Robert Ballagh, Alice Maher, John Kindness, Tony O’Malley, Norah McGuinness, and Julie Merriman. 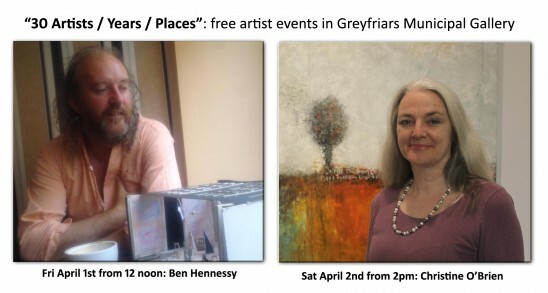 Friday April 1st from 12noon to 1pm (approx): Well known Waterford artist, theatre director, and set-designer Ben Hennessy will facilitate an exploration of the exhibition in his hands-on, practical workshop. 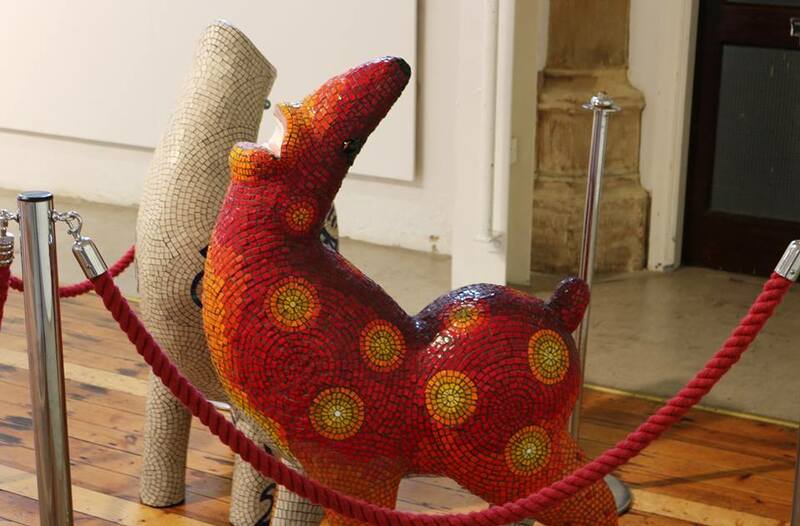 Ben has many years experience of inspiring artistic creativity in both children and adults. Saturday April 2nd from 2pm – 3pm (approx): Local artist Christine O’Brien will lead an exploration of selected works from the exhibition in her fun workshop entitled “30 Ways of Seeing”. No previous experience of art is needed to participate in this informative and engaging family-friendly event. An experienced Arts facilitator, Christine developed Waterford City Council’s Secondary Schools Programme based on the Municipal Art collection between 2011 and 2014. Places are limited so make sure to book a place! To do so call Greyfriars Municipal Gallery on 0761102983. This entry was posted on March 24, 2016 by waterfordarts in Workshop/Up-skill and tagged art workshops, art workshops in greyfriars, family workshops, Greyfriars Gallery, workshops.